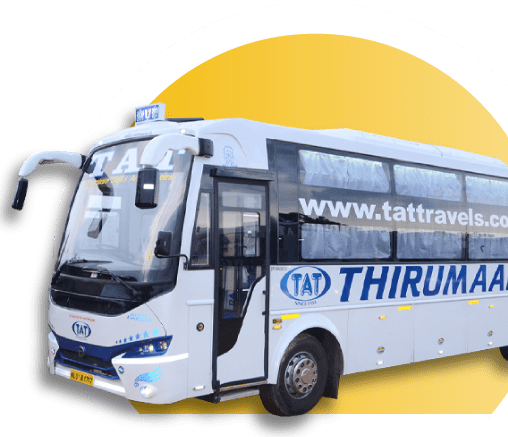 Lakhs of people travel on buses daily in India, for them TAT Travels is a leading bus tickets booking platform with more than 135 bus routes in TamilNadu. 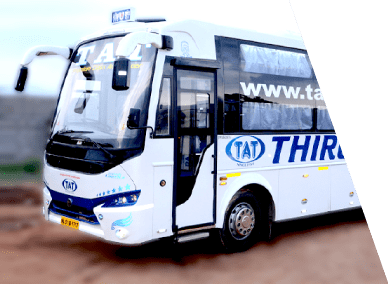 TAT Travels providing simpler and smarter way of bus booking with a wide range of facilities, right from choosing your pickup point to your preferred choice of seat based on your convenience. Good service. Easy to book bus tickets online!!! Very good bus with LED TV for each seat and on time.Really happy. Fantastic bus service, bus was very clean, good staff behaviour, stop in good hotel. Overall I like the travel with TAT. Awesome Trip. Staffs are very good, polite and humble. Wonderful service TAT. Keep doing. User friendly app to book bus tickets. Staffs are very good.